Google said its data centers in Taiwan and Singapore have gone online to cater to the growing number of Internet users in Asian countries like India and China. The Internet giant said in 2011 that it planned its first Asian data centers in Hong Kong, Taiwan and Singapore, but has since reportedly backed out of the Hong Kong center citing the inability to scale its operations there. The data center in Changhua County, Taiwan, is the larger of the two Asian facilities. Google will invest US$600 million there, wrote Joe Kava, Google's vice president for data centers, in a blog post on Tuesday. The data center employs 60 full-time staff besides part-time and full-time contract staff. At the Taiwan data center the cooling system chills water at night, when ambient temperatures are lower, storing it in large insulated tanks before pumping it through the facility to cool servers during the day, he said. Demand for the data centers is being driven by mobile Internet users. "Between July and September of this year alone, more than 60 million people in Asia landed on the mobile internet for the first time," wrote Kava, citing data from an Ericsson report in November. "That's almost two Canadas, or three Australias," Kava wrote. The growth in Asia is not likely to slow for some time as the majority of people that have yet to come online are in Asia, he added. 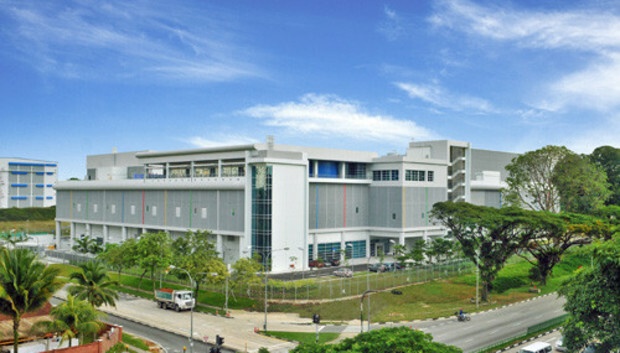 While the Taiwan data center is on 15 hectares of land, the Singapore data center in Jurong West is built on a smaller area of close to 2.5 hectares. It is designed as Google's first urban, multi-story data center, and is in the neighborhood of a local primary school and publicly-run housing.